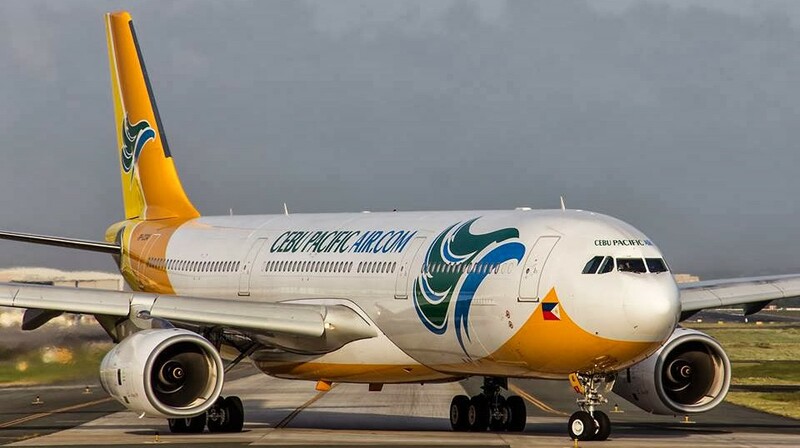 Cebu Pacific Air GM long-haul division Alex Reyes, speaking at the CAPA Australia Pacific Aviation Summit, stated (06-Aug-2014) the airline acquired its A330-300 aircraft primarily to serve the Filipino expatriate population in the Middle East. The airline currently operates four A330s in a 436-seat configuration with nine-abreast seating and seat pitch of between 30 and 32 inches. The airline offers WiFi service on the aircraft and plans to roll out streaming to passenger devices in Aug-2014. The carrier will take delivery of one additional A330 in Aug-2014 and a sixth aircraft in 1Q2015. Cebu Pacific Air GM long-haul division Alex Reyes, speaking at the CAPA Australia Pacific Aviation Summit, stated (06-Aug-2014) the airline expects to take delivery of 43 new Airbus aircraft between 2014 and 2021 to support its network expansion and keep its average fleet age low. Deliveries include A321neo aircraft from 2017. The airline operated 50 aircraft with an average age of four years as of 30-Jun-2014. Cebu Pacific Air GM long-haul division Alex Reyes, speaking at the CAPA Australia Pacific Aviation Summit, confirmed (06-Aug-2014) the airline will commence Manila–Sydney service on 09-Sep-2014. Mr Reyes said bookings for the route are “quite good,” especially for the Dec-2014 travel period. The route is intended to serve the growing Filipino population in Australia and attract tourist traffic from Australia to the Philippines. The carrier will also promote connecting domestic services and routes to destinations in North Asia through Manila. Mr Reyes said the airline plans to commence additional services between Australia and the Philippines, dependent on increasing capacity allocations between the countries. Mr Reyes said the total allocation for all carriers between the countries is currently 6000 seats per week and the entire allocation for Philippine carriers is used by Cebu Pacific and Philippine Airlines. Posted on August 6, 2014 August 8, 2014 by Aviation News Philippines ModeratorPosted in Airbus, AirlinesTagged A321NEO, Airbus 321neo, Cebu Pacific, Cebu Pacific Air.